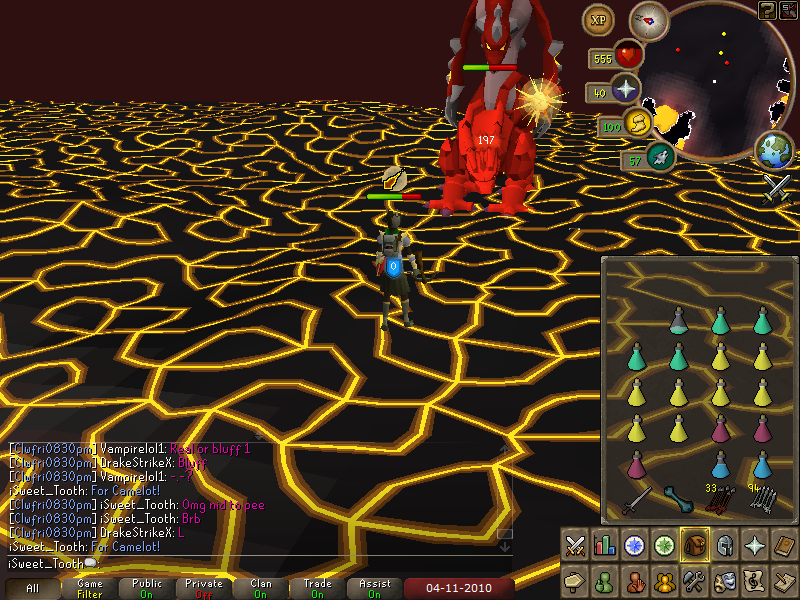 Gl in getting fire cape P00h! Good Luck Getting Fire Cape all the best!! Damn Pooh, that's the best picture you have taken at Tzhaar Caves !!! Jad minions playing each other while Jad is AFK-ING. Btw, how many waves must you go through to face Jad? What wave u keep dieing on?